“Halo” is a tall and elegant mare, with a striking dappled buckskin coat. She is very special to us because she became an orphan at just 3 days old. A kind mother goat named Pumpkin helped us raise Halo after her mother passed. 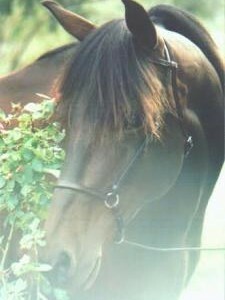 A great riding horse and friend.